As each day passed and the death toll rose, searchers feared more people trapped in rubble would not be reached in time. 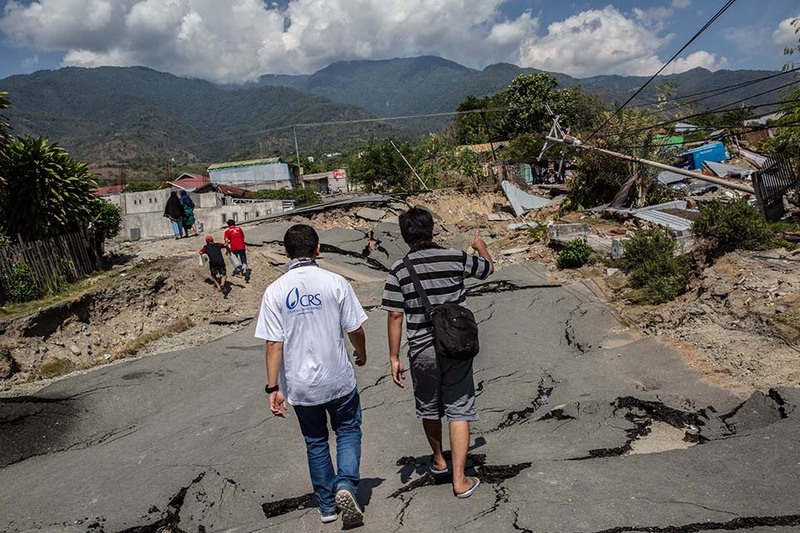 Days after the quake and killer wave, another shock: a volcano erupted not far from the epicenter of the quake, further complicating the crisis. Now, as many as 1.5 million people are desperately waiting for help. Fatwa, a Catholic Relief Services disaster risk reduction manager, was among the first to arrive in Palu. His role today is to help coordinate the CRS response with local Church partners and get the right aid to some of the most vulnerable affected. 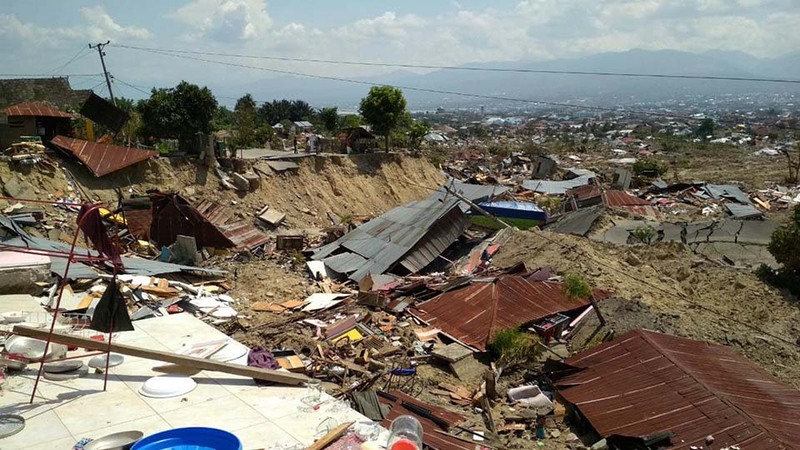 A 7.5 magnitude earthquake followed by a tsunami hit central Sulawesi on Friday, September 28. The tsunami caused major loss of life and damage, toppling buildings, shopping malls and mosques. Infrastructure, such as roads and bridges, was also badly damaged. CRS is supporting its local Caritas partners in preparing to provide food, clean water, medical treatment, emergency shelter, hygiene kits and other survival supplies. CRS hopes to quickly raise $800,000 to meet these urgent needs, and is committed to supporting the families and communities in the months—and likely years—ahead as they pick up the pieces and rebuild their lives.